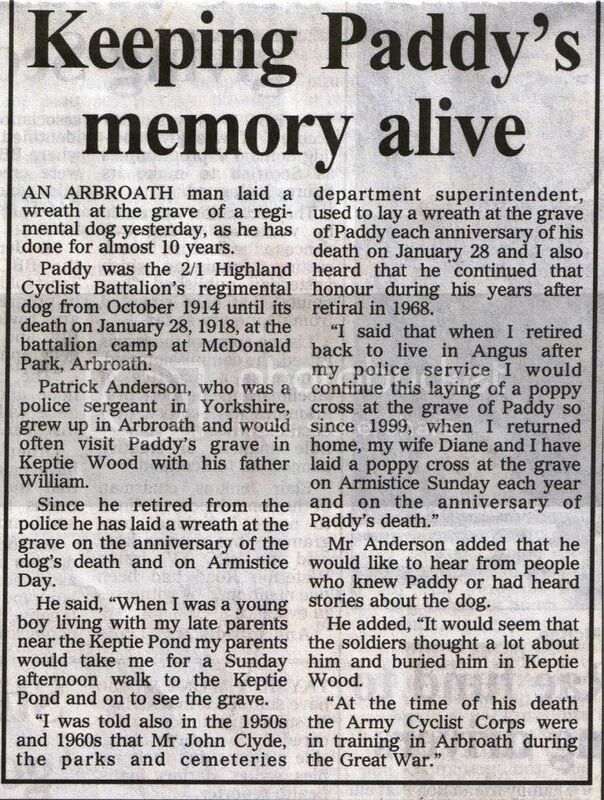 Quite unusual I imagine, but this is the gravestone of the regimental dog "paddy" on Lochlands Drive. Can anyone identify the regiment here? 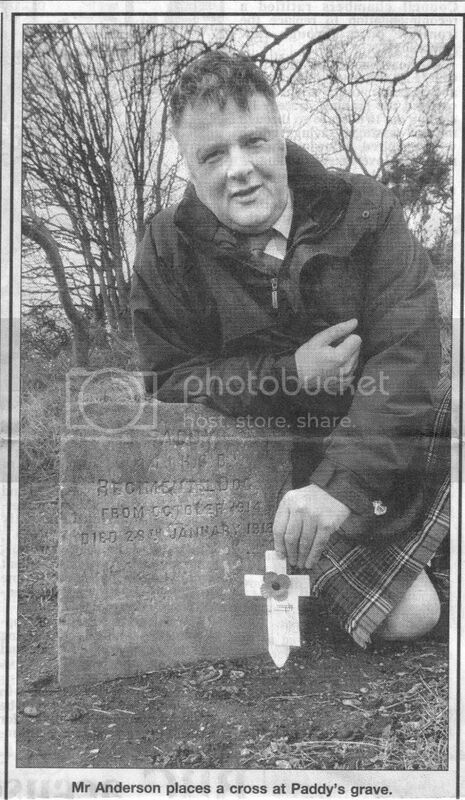 'Formed in Kirkcaldy in November 1914. 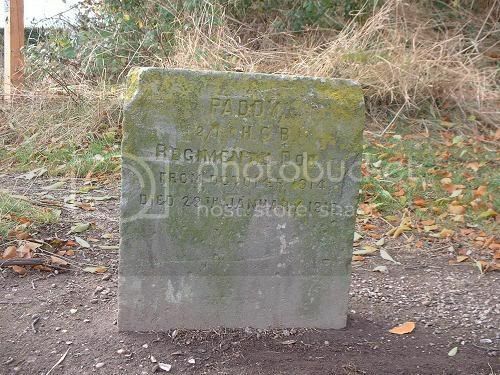 Remained in Scotland until moving to Ireland in May 1918, where it then remained'. 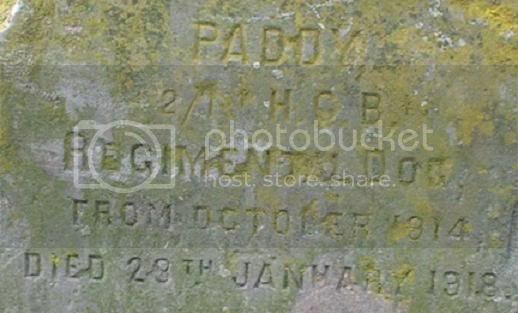 Thanks for adding Paddy the 2/1 Highland Cyclist Bn dog headstone at the woods at McDonald park in Arbroath .